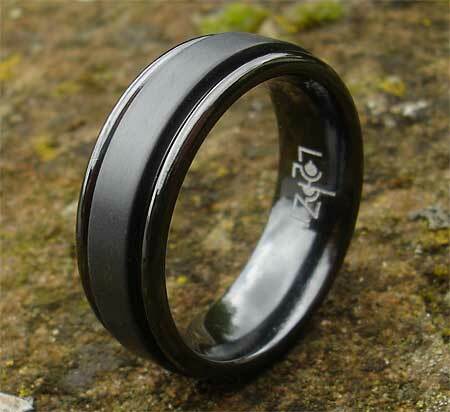 All Black Men's Designer Wedding Ring : LOVE2HAVE in the UK! 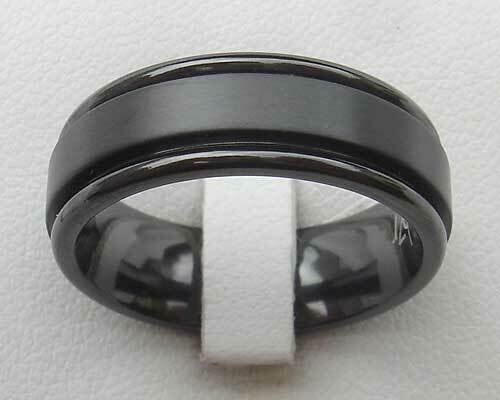 This men's designer wedding ring is an all over black zirconium ring that is the very same one that is featured elsewhere on this site with personalised outer engravings. These external engraved versions are available in titanium and zirconium with the zirconium models central area being relieved black. They are so popular that we have decided to feature an 'all over black' model in zirconium here. It features the same edge rails in glossy black and an inner flat profile section in matte to give it a real designer look. The width is 7mm.